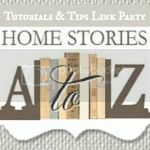 Welcome to the 88th Tutorials & Tips Link Party! I’m excited you are here and can’t wait to see what you have to share with us this week. 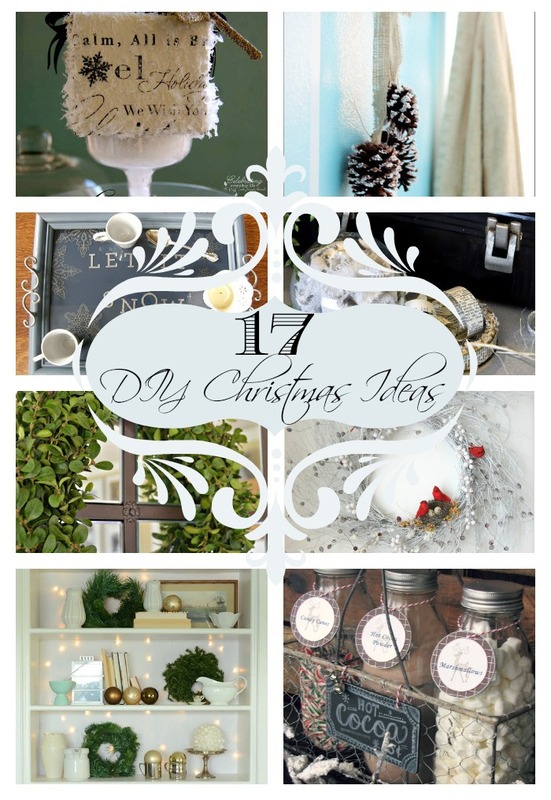 If you missed the round-up of features from the past two weeks, be sure to click here to see 17 fantastic DIY Christmas Ideas that are sure to get your creative juices flowing! Tomorrow, I hope you’ll stop by to see my Christmas home tour and peruse all of the other fantastic homes that are participating in the 2012 Virtual Holiday Housewalk! And finally, I have a great contest going on right now that I know you will want to enter! 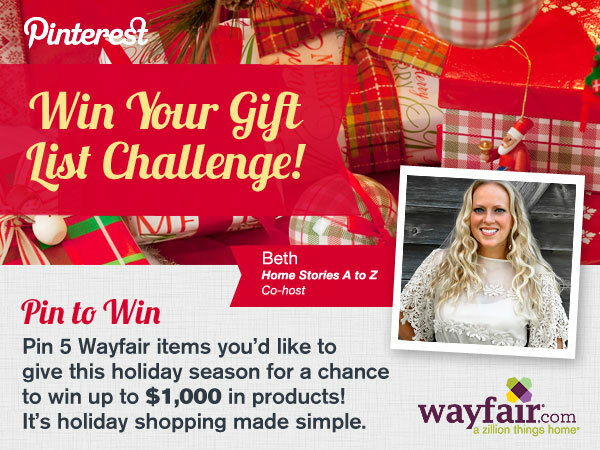 Wayfair.com invites you to create a Pinterest board with 5 product pins from Wayfair.com and you will have a chance to win everything on your board up to $1000! Click here to see how to enter. Phew! I always feel like there is so much to cram in at this time of year! And now it’s time to see your creativity at its finest. If you’d like to link up, please be sure to read the rules before linking. Please don’t link up giveaway posts. MOS but I don’t have any insight for him..
Hi Beth, it’s great to link up here, thanks for hosting! It’s been awhile since I’ve had a project to link up–the party has really grown! Thanks for hosting! Thank you so much for sharing my boxwood wreath tutorial! I’m a little late for the party, but I just linked up! Thanks for hosting it! Thanks for hosting, Beth! Love all these project ideas 🙂 Christmas crafts are the best! Thanks Beth for the Link up! The Housewalk sounds like fun! Yeah I got to link up again. I choose my Advent project from my Christmas series, it is the most tutorial worthy post. I hope you like it. Yay Marianne! Thanks for linking up :). I look forward to seeing your post! Thank you so much for hosting the party today, Beth. The flock of features are so lovely! Thanks for having all of us over, Beth! I hope your week is off to a great start. Looking forward to seeing your Christmas home tour tomorrow. You always have such beautiful and creative ideas. Thanks so much for hosting! Can’t wait to see you holiday home. Hope you have a wonderful week! Hi Beth, thank you for hosting, it’s great to link up here! Beth, thank you so much for hosting! Hope you have a wonderful week! Thank you for hosting Beth! Can’t wait to see your Christmas home tour tomorrow. Thank so much for hosting Beth! Gorgeous features and some really fabulous link ups already tonight! Thank you so much for hosting a great party Beth, have a great evening! Oh my word there is all kinds of stuff going on over here. Wayfair and parties galoor! Thanks for hosting the party! Thanks so much for hosting! I hope your week is amazing. I can’t wait to see the tour of your home all dressed up for the holidays! Thanks for hosting!